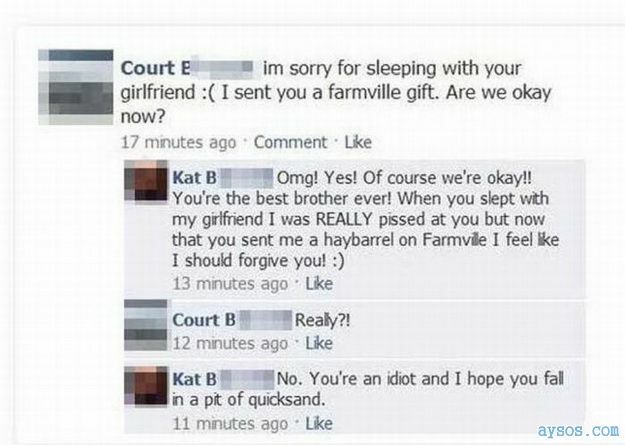 Wow, the nerve of some people and what they post on Facebook and then thinking that a Farmville gift is going to make up for hitting another mans woman? doesn't have any comments yet! You can be the first! If you want to let a friend know about this page, just fill in the details below and our server will send an email to your friend.